Fernão Magalhaes was born in Portugal about 1480. 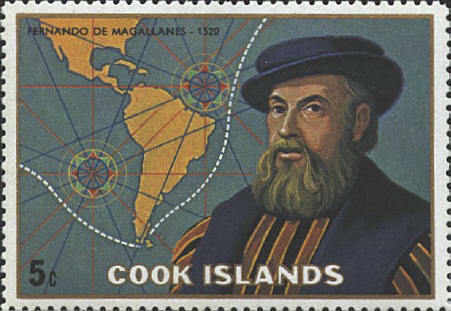 He began a voyage of discovery for Spain in 1519. Although he died on the island of Mactan in the Philippines in 1521, one of his ships completed the voyage, the first circumnavigation of the globe, in 1522. The map shows a portion of his route, including the passage through the straits at the southern tip of South America which are known as the Strait of Magellan.